For a listing of adjunct faculty see the Faculty and Administration section. Studio Art – with specialization in ceramics, fiber arts, painting, print media and sculpture. 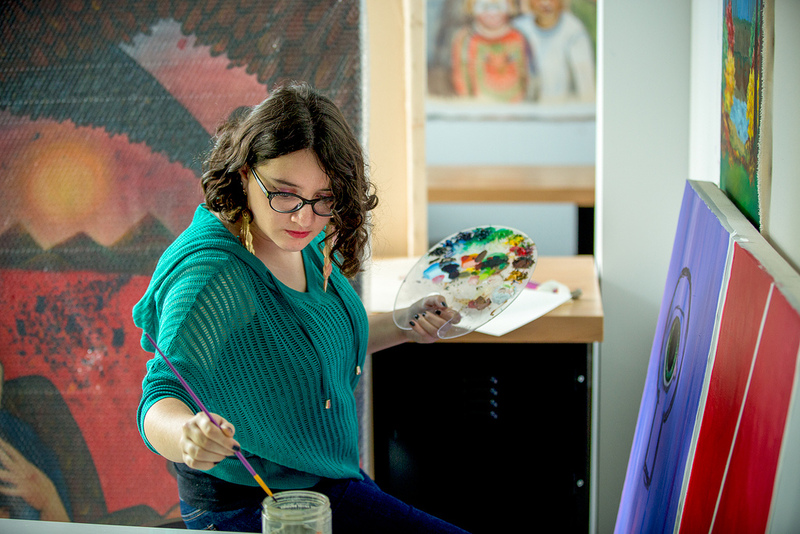 The art and art history curriculum develops skills of analysis and critical thinking through instruction in the making and history of visual art. Art and art history courses emphasize the importance of the art object in society as a means of both individual and cultural expression, which is reinforced by a variety of guest lectures, studio critiques, and museum and gallery visits. The year-round program of exhibitions, visiting artists, and symposia organized by the Dowd Gallery complements the department's activities by providing further opportunities for students to apply their developing aesthetic awareness to a wide range of artwork, ideas and values. Degree requirements listed in this catalog apply to all of the majors offered by this department. Liberal Arts Requirements: 90 credit hours.